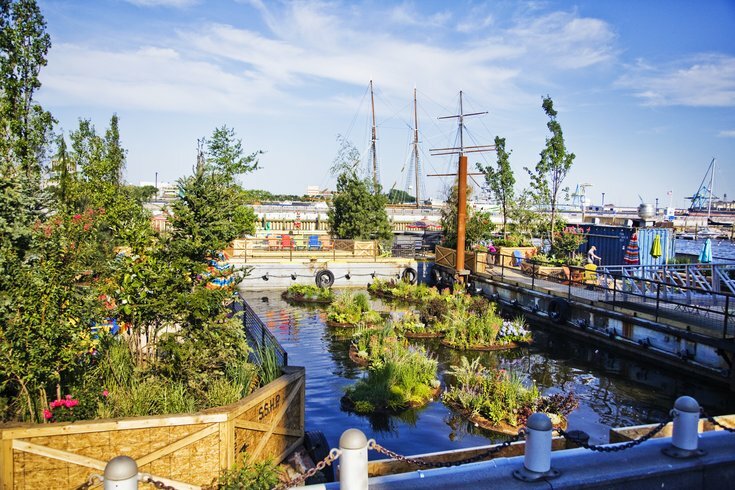 The Delaware River Waterfront Corporation’s new Spruce Street Harbor Park offers a summer getaway right in Philly. It's almost Fourth of July weekend and summer has arrived. The streets feel like a sauna and in the distance, one can hear the sounds of "wooder ice" being scooped to Will Smith's "Summertime." Are you experiencing summer in Philadelphia at its fullest? If none of these signs apply to you, it's not too late to turn things around. There are still 85 days to do summer right. You know there are weekends to stay in Philly and others to throw in the towel and head "downashore"
And you've seen your favorite movies outside, for free! You've already explored our future "high line"
You've avoided contracting E. coli while swimming at Devils Pool in Wissahickon Creek Park. You've been to every PHS Pop-Up Garden at least once. With your dog. Your primary source of energy is "wooder ice"
You believe that nothing beats summer in Philadelphia and you plan to enjoy every moment of it.